Civic Trust is offering talks by landscape historian John Adam, and our President, heritage expert, Allan Matson. 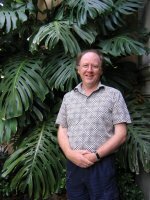 John Adam will be sharing his knowledge of how to undertake historical research using records from the Auckland region. Choose from Saturday 3 October or Thursday 8 October, 12.30 – 1.30pm, Pioneer Women’s and Ellen Melville Hall, Freyberg Place, CBD. No bookings needed. Free. Allan Matson will be giving an update on the outlook for our architectural heritage, as Auckland’s Unitary Plan process unfolds. Choose from Wednesday 30 September, 6-7pm or Saturay 10 October, 12.30 – 1.30pm, Pioneer Women’s and Ellen Melville Hall, Freyberg Place, CBD. No bookings needed, Free.